Response to the Pradhan Mantri Garib Kalyan Yojana (PMGKY) has "not been so good", with only Rs 5,000 crore unaccounted income being declared under the amnesty scheme, the government said today. The scheme was launched in December last year to enable people with black money to come clean by paying tax and penalty of 50%. Nitya Tax Associates, a boutique law firm that focuses on indirect tax consulting and litigation, has hired Poonam Harjani, a senior executive from boutique tax and consulting firm BMR & Associates LLP to strengthen its indirect tax practice. 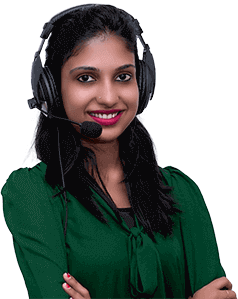 Poonam has nearly 13 years’ experience in the field of indirect taxes. Prior to Nitya Tax Associates, Poonam was a Director with BMR & Associates LLP. The government's ambitious tax-dispute resolution scheme has ended with just Rs.1,200 crore being collected and none of the high-profile retrospective tax cases involving firms like Vodafone and Cairn Energy opting to settle. Finance Minister Arun Jaitley in his budget for 2016-17 announced the Direct Tax Dispute Resolution Scheme for nearly 2.6 lakh pending tax cases where Rs. 5.16 lakh crore are locked in.